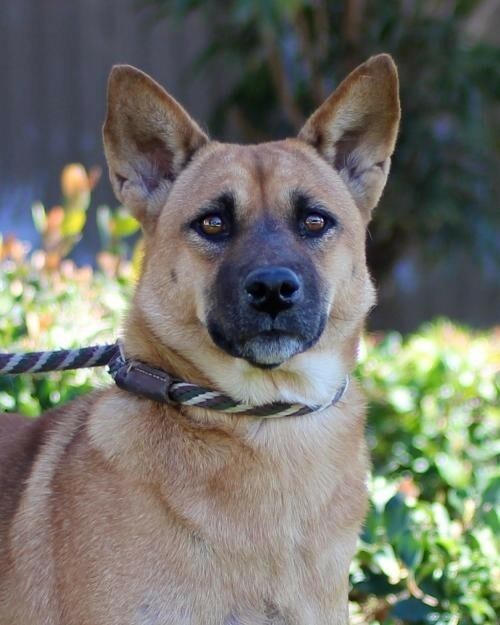 With a name like Joy, you know this girl is guaranteed to bring you nothing but happiness! Joy is 1 of 11 January 2017 Soi Dogs rescued from the illegal Dog Meat Trade (DMT) in Thailand. This group of 11 is our 3rd round of pups rescued from the Soi Dog Foundation facility in Phuket and flown stateside into LAX. Joy is a survivor and you would never know the horrors of her past in her interactions with people. She is friendly, social, affectionate, and eager to please. She loves the company of humans and she also gets along well with her Soi Dog friends. Joy is just over 6 years old and weighs roughly 25-30 pounds. As her name suggests, she truly is a joy to be around. Don’t miss out on your chance to meet this little ray of sunshine! If you'd like to meet Joy, please visit www.thebarkinglot.net/adopt. Not what you were looking for? You can adopt a different pet in San Diego by using our search feature and adjusting the radius. Thank you for helping our animal shelters and rescue groups with pet adoption! The seed for The Barking Lot was planted a few years back when I took in my first foster dog, Patti Cake, in hopes of making a bigger impact by helping my favorite furry friends. Before I knew it, I was put on some rescue email list and received an email stating, "This dog to be put down on Tuesday at 3pm". I was utterly horrified and jumped into action figuring out how I could save her. Well, I did and I'm glad to report Raspberry (my nephew named her!) is living happily in Encinitas to this day! After getting her adopted, I thought, "That wasn't so tough." And so it goes...over 500 dogs adopted into loving home and 2 1/2 years later...we are now creating The Barking Lot. As well as being wonderful companions, dogs are amazing teachers and we've learned so much from them...first and foremost that they all deserve a chance at a better life and their behavior will balance beautifully if their needs are meet and good leadership is applied. These pups will be the most grateful creatures you've encountered. We rescue our furry friends from area shelters, humane societies and Mexico as they are at risk of being euthanized and/or abandoned. We are a small organization with a handful of key volunteers and we are just getting started as a 501c3 non-profit, so we're looking for more volunteers to add to the fun and reward! We need both people and donations to help our furry friends, so we'd be grateful for either. Please contact stacy@thebarkinglot.net Thanks for choosing rescue, Stacy, The Barking Lot crew and all the rescued recruits! P.S. Patti Cake, my original foster dog, is among The Barking Lot residents as I couldn't possibly have given her up & I'm fortunate to call her mine! Yes, I'm proud to report I was a failed foster my first go around!! Our goal to find the right match for each pooch based on lifestyle, energy level, exercise regime, environment and living situation. To ensure we find a great match for each pup, the process entails an adoption application, a play date with your furry friend, a home check of the potential adopter and an adoption contract. The adoption fees include spay/neuter, up-to-date shots, rabies vaccination, microchip & microchip registration, de-worming and the benefit of getting a pooch who has been living in a stable and loving environment.